Tickets for the film will be available on the door. 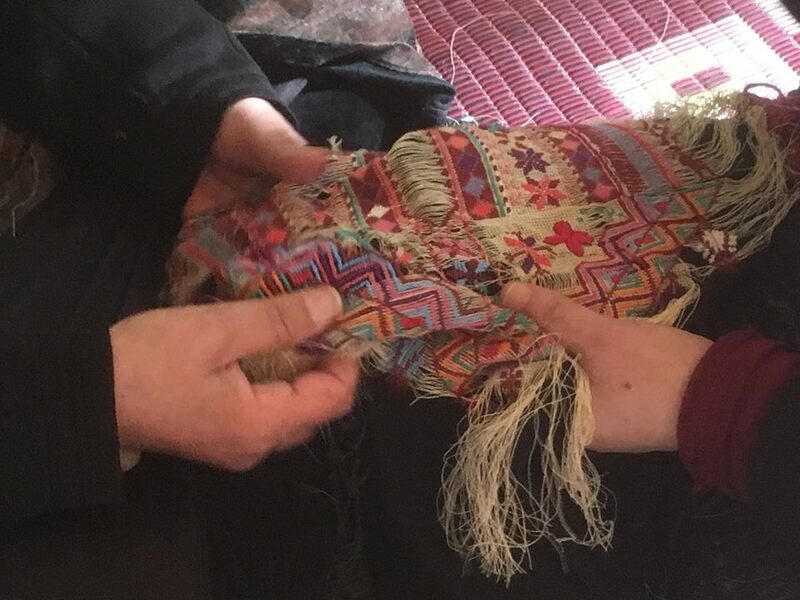 Using the theme of traditional Palestine embroidery, the film stitches together the stories of 12 strong Palestinian women – many of whom are living in exile – who use embroidered pieces to share memories of their homeland. The twelve women from disparate walks of life: lawyers, artists, housewives, activists, architects, and politicians sit before us and talk of their life before the Diaspora, of their memories, and of their identity. As their stories unfold so the embroidery begins to take shape, revealing both personal experiences and a unique insight into this ancient art form. Following the film will be the option to purchase a delicious Palestinian meal. There will also be an exhibition of Palestinian embroidery pieces on display at the museum, providing the opportunity to see this beautiful and unique craft up close.